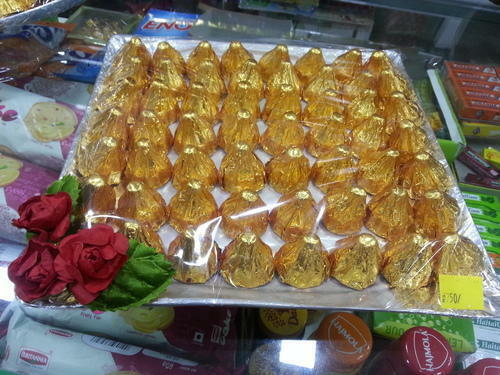 For Ganesh Chaturthi special Shocolate Modak is available in 11 & 21 Pcs pack. Also Available in kgs. 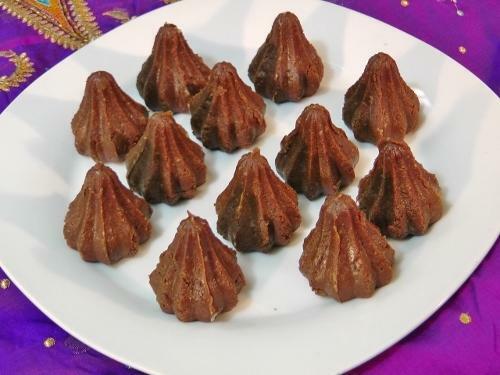 Chocolate and almond chocolate modak packs available. 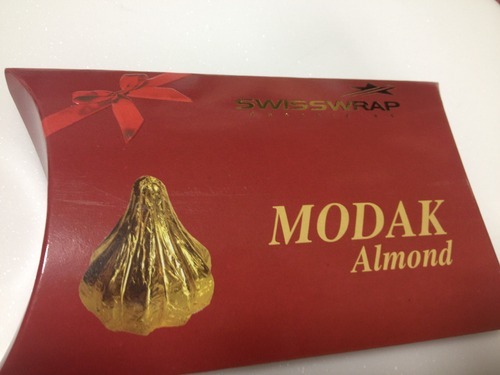 Packs are available for 11,21,51 ,101 modaks(Both plain and almond) These are available on kg basis also. 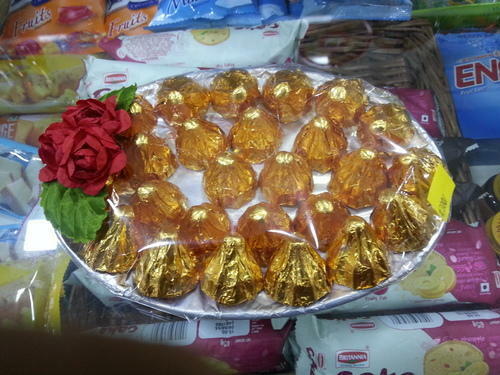 Fancy Decorative Chocolate Modak Thal offered contains auspicious 51 or 101 pieces of tasty chocolate modaks that are best to be used for Ganesh Chaturthi festival. 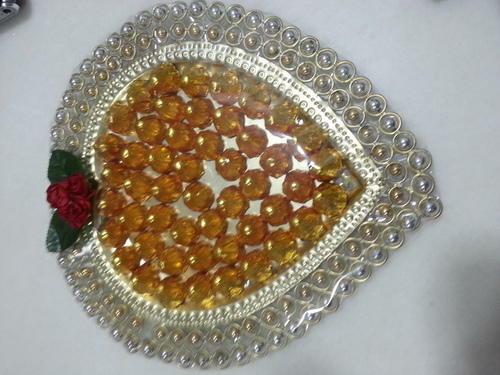 Available in quality packaging support which helps in maintaining the quality of the modaks, the fancy decorative finish provided to thal makes it all the more attractive and a perfect choice as a gift during Ganesh Chaturthi to family and friends. 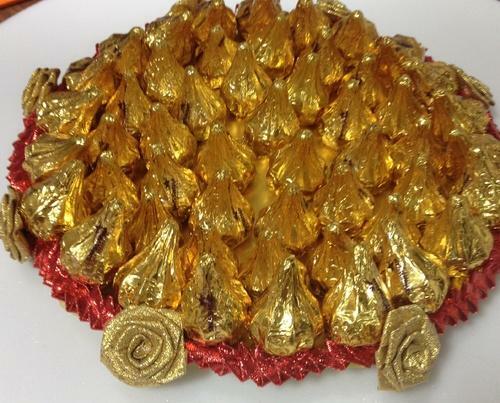 We also ensure that modaks are prepared as per defined standards using quality ingredients which match up with the expectations of customers. 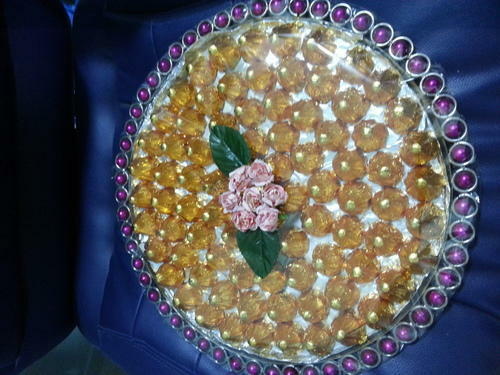 A decorative thali made with chocolate and almond modak.